In Emma Jane Unsworth’s boozy and biting adaptation of her own novel, the duo find that growing up is hard, especially if you’ve resisted it for entire years. There’s a delightful gag in the final act of Jamie Travis’ 2012 comedy “For a Good Time, Call” — incidentally, a former Sundance entry — in which the leading ladies profess their platonic affection for each other in ways most closely associated with romantic proclamations. 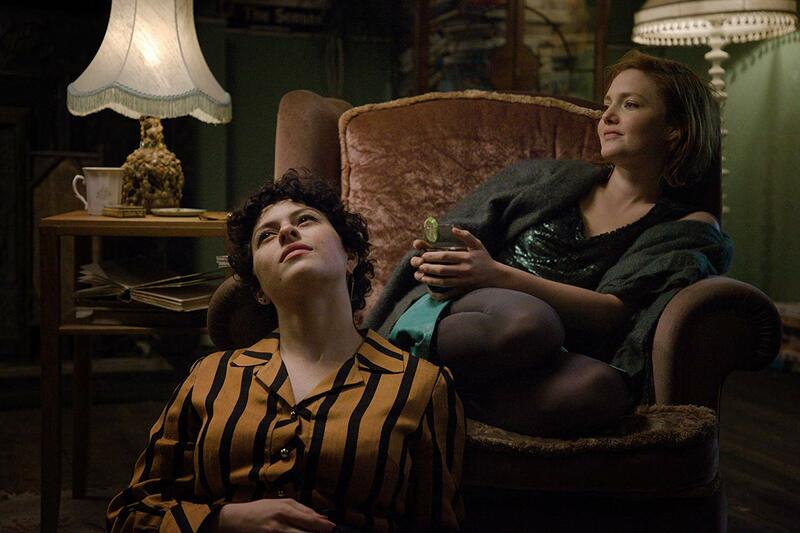 Sophie Hyde’s “Animals” takes that idea and slingshots it a decade into the future, centering her film around the seemingly unbreakable bond between Laura (Holliday Grainger) and Tyler (Alia Shawkat), best friends who probably made similar promises in the early days of their own friendship. The film even opens with Laura lovingly reciting the story of how they first met, a tale that’s both sweet and indicative of the pains to come. Based on Emma Jane Unsworth’s novel of the same name — the novelist has also penned the screenplay, and her affection for her characters shows — “Animals” picks up ten years into Laura and Tyler’s friendship, as the rest of the world changes around them and they, well, don’t. Boozy and obligation-free, Laura and Tyler have entered their thirties much as they spent their twenties (read: drunk), and the realization that the world is passing them by impacts the pair in very different ways. Spurred by the news that Laura’s big sister is about to become a mother (amusingly juxtaposed against a flashback in which she strips down to nothing and jumps on a bar for a dance, all the better to impress a similarly sloshed Laura and Tyler) and facing down her withering literary dreams, Laura begins to gravitate toward the kinds of opportunities that Tyler still scoffs at. Soon, there’s a handsome new boyfriend (Fra Fee) who has his life together, a renewed work ethic, and even the occasional night that passes by without a large glass of wine to chase it. But is that all there is? Laura’s eventual choices, between continuing her hijinks with Tyler (and living like actual animals, or at least animals with a cheap rent to pay and a bad gig as a barista to help them get by) and becoming a “grownup” with her serious boyfriend, give way to something more interesting. While Laura’s struggle is emblematic of the ones faced by plenty of modern women, Hyde and Unsworth resist turning “Animals” into a screed about the plight of “the modern woman” at large. At one point we see Laura and her sister swapping glossy magazines aimed at their new lot in life, a casual moment that takes on added resonance as they both feel the weirdness of their personal statuses being packaged for mass consumption. Grainger’s ability to telegraph hard-won emotion in a single glance further elevates such scenes (she’s so good that she even makes off with a looking-in-the-mirror sequence that transcends the cheesiness of such tropes). Less attention is paid to the wild Tyler, whom Shawkat embodies with an energy that zings between endearing and terrifying (precisely how Laura sees her). Unsworth’s novel is told from Laura’s perspective, so the limited insight into Tyler’s life is understandable; still, “Animals” could stand to beef up her backstory, which is only hinted at in broadly tragic terms. But Grainger and Shawkat are wonderful together, conveying the depth of a 10-year relationship with affection and honesty. “Animals” keenly understands something that few modern films are willing to face: friendships, the good ones, the real ones, aren’t some stopover on the way to movie-ready true love and riding off into the sunset. Sometimes, you’re riding off into the sunset with your best friend, and that’s damn fine. And sometimes, it’s not. As Laura pushes her way into adulthood — a less graceful film would call it “adulting” with a wink — Tyler spirals further out of control and their bond is tested as it never has been before. Elliptically plotted and not at all interested in setting either of its leading ladies on predictable paths, “Animals” eschews easy answers. Instead, it revels in the messiness of life, and the many love stories it can contain. “Animals” premiered at the 2019 Sundance Film Festival. It is currently seeking U.S. distribution.